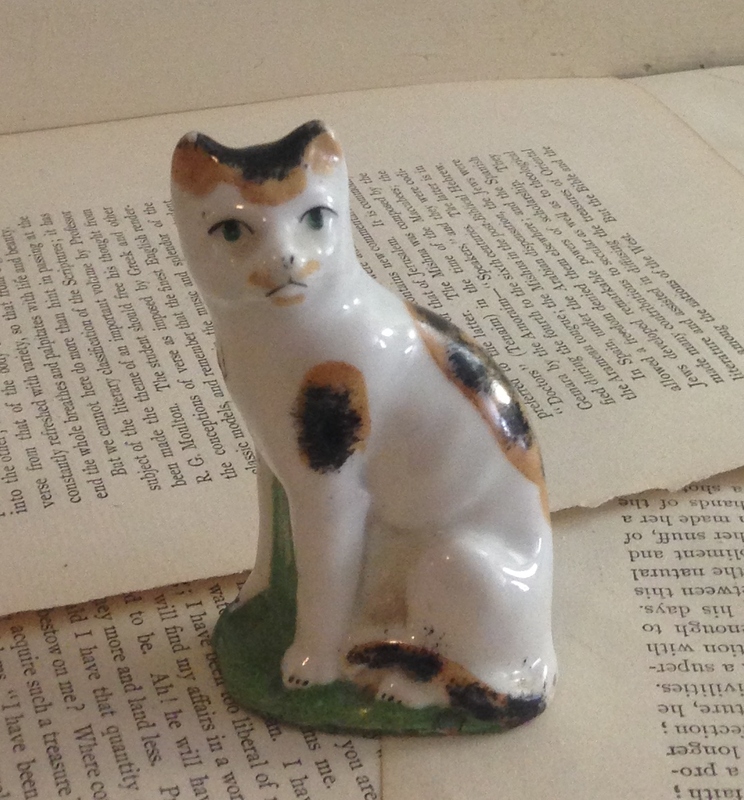 *Pictured is my favorite cat figurine from Victorian England. It’s not for sale, but I thought I’d share it with you. I had a calico as well. She would have responded the same way. Now I have a beagle. He would have barked, saw I was alive and moved on to the food closet.